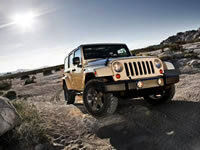 Jeep has a long history of producing trucks and SUVs that are meant to go off the beaten path. The Wrangler and the Cherokee have remained immensely popular since the 1980s, and with recent improvements in performance and quality, the Jeep brand is likely to maintain its fan base and attract new followers. Keeping your Jeep on a regular preventative maintenance schedule ensures it stays safe and reliable for you and your family through the long haul. Our multi-point inspections (included with any service) and honest approach to vehicle maintenance and repair see to it that your car is fixed correctly and at a fair price. Our Jeep service and repair shop is equipped with state-of-the-art equipment and diagnostics to best service your car. Give us a call today at (253) 604-4128 or fill out our contact form online.